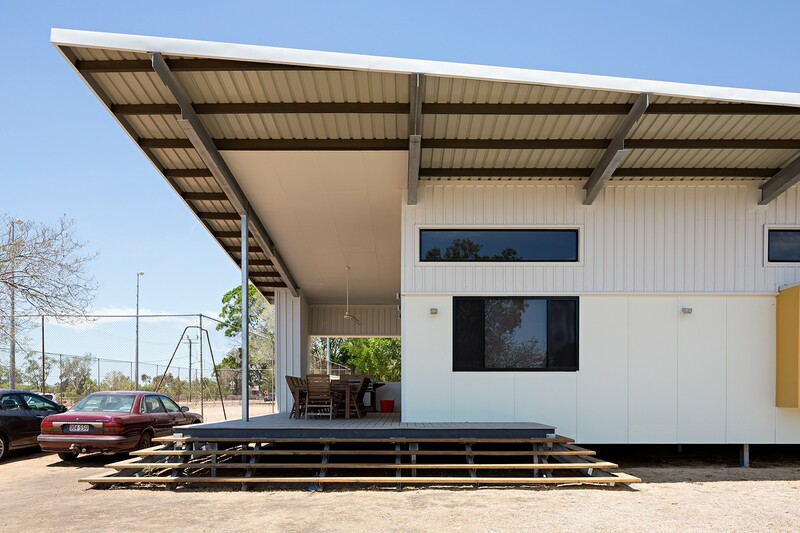 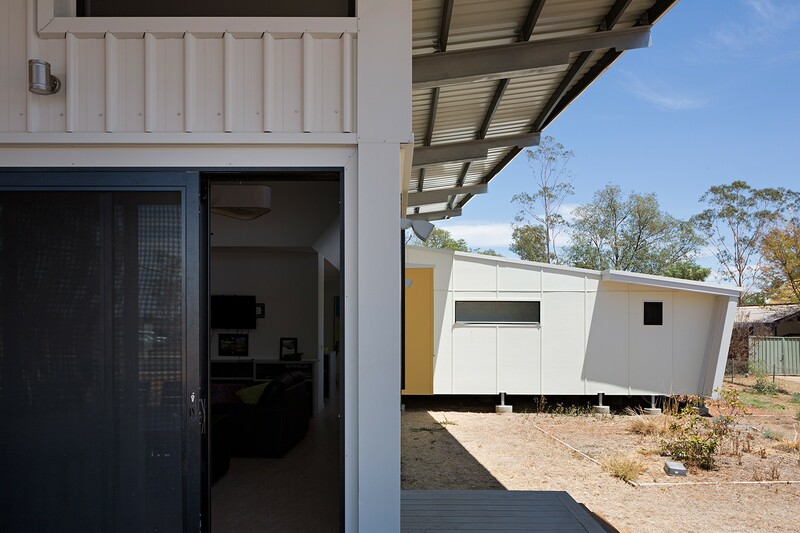 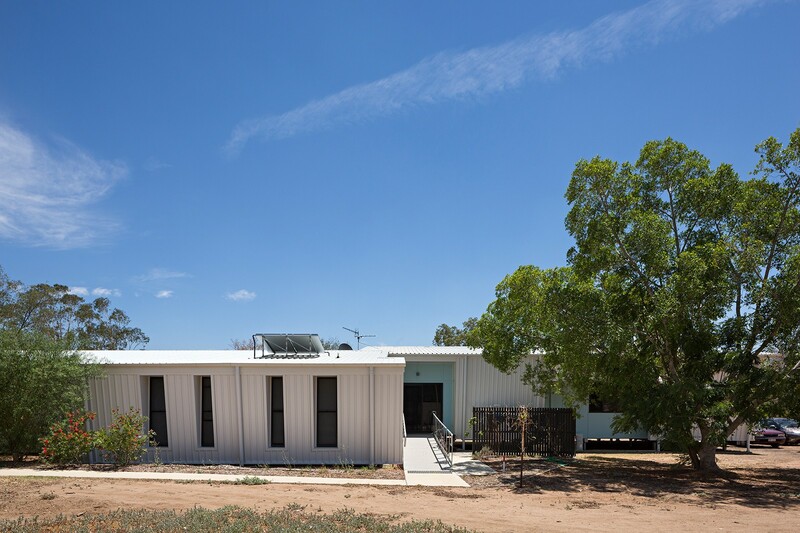 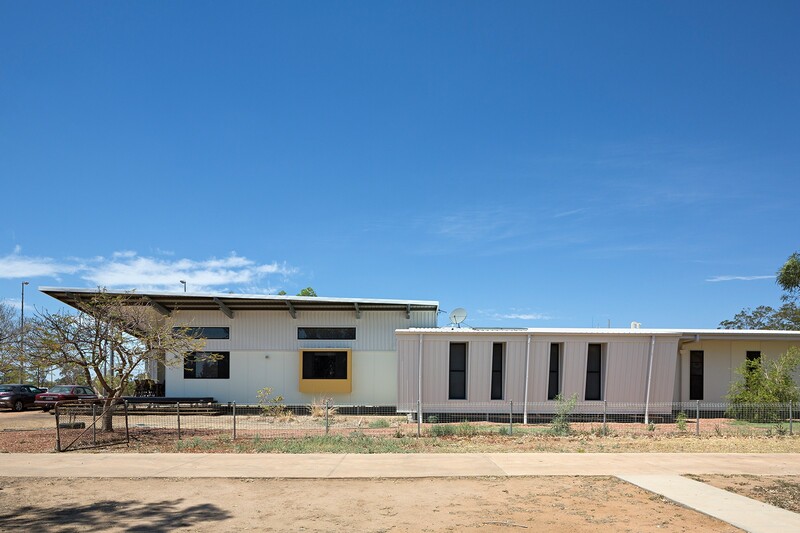 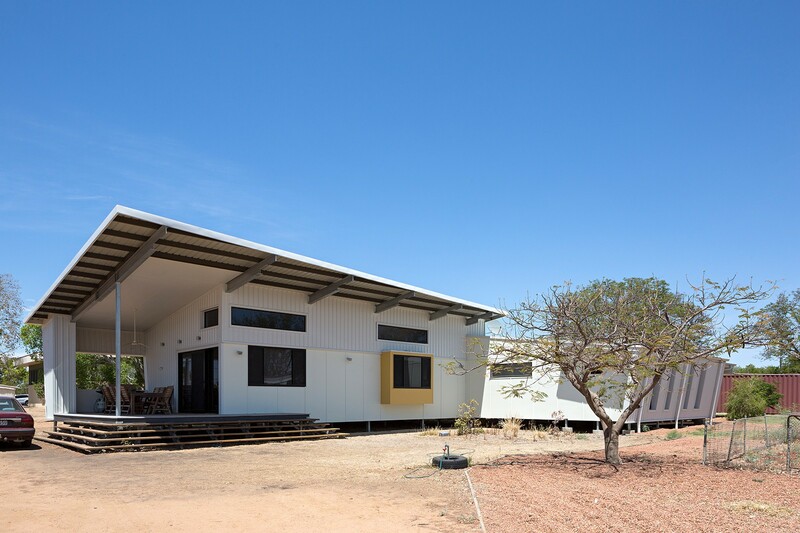 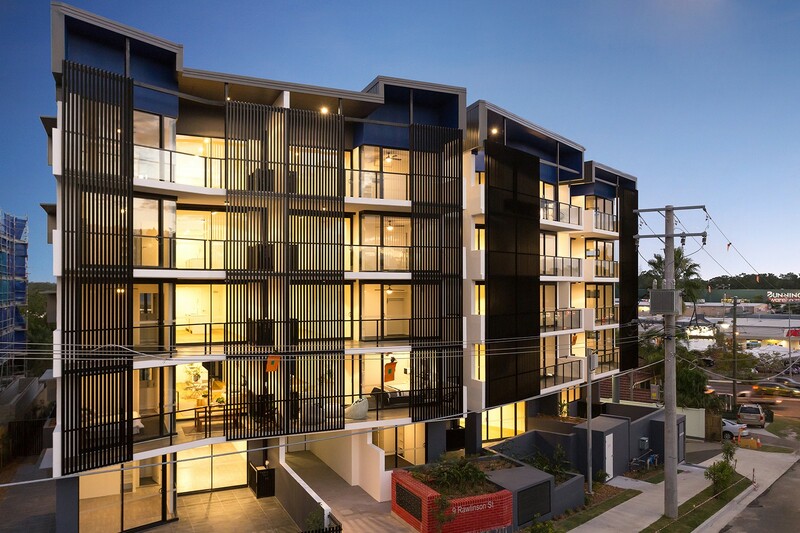 This student accommodation building is set amidst an eclectic collection of temporary and permanent buildings adjacent the Longreach hospital. 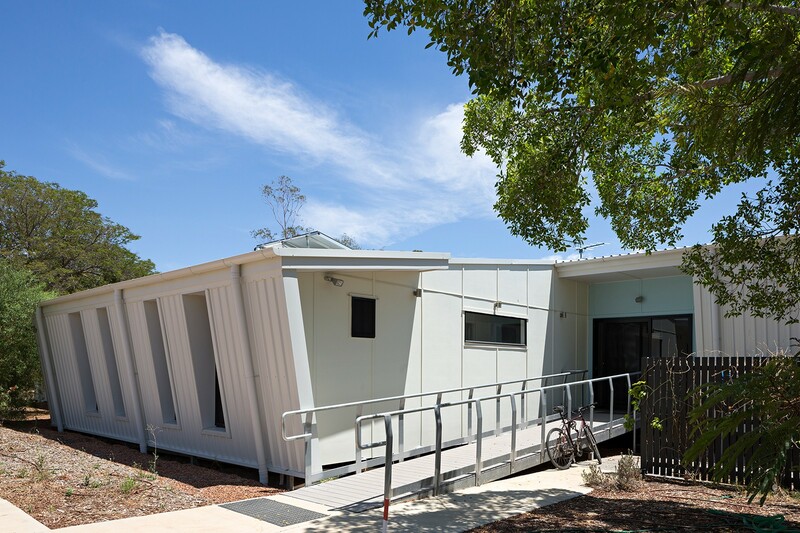 The client requested a building which provided a comforting and domestic environment for student nurses and doctors. 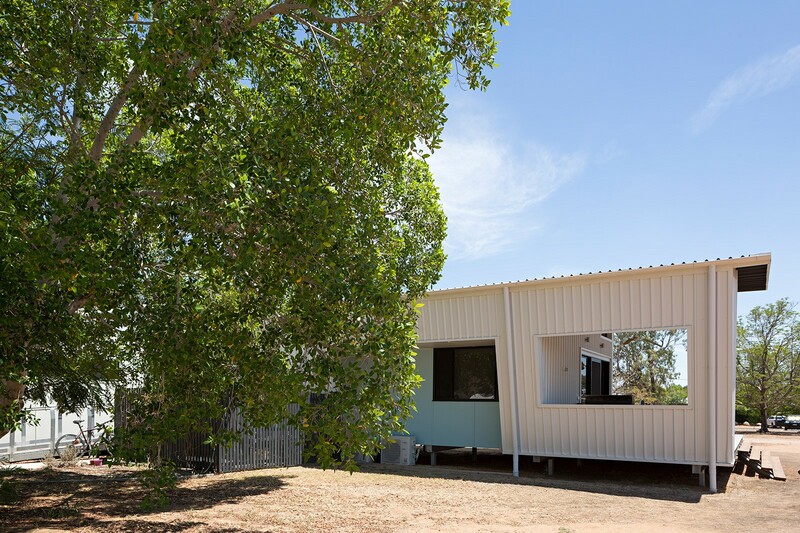 The design delivers this via a series of simple strategies which provide opportunities for calm retreat as well as collective interaction. 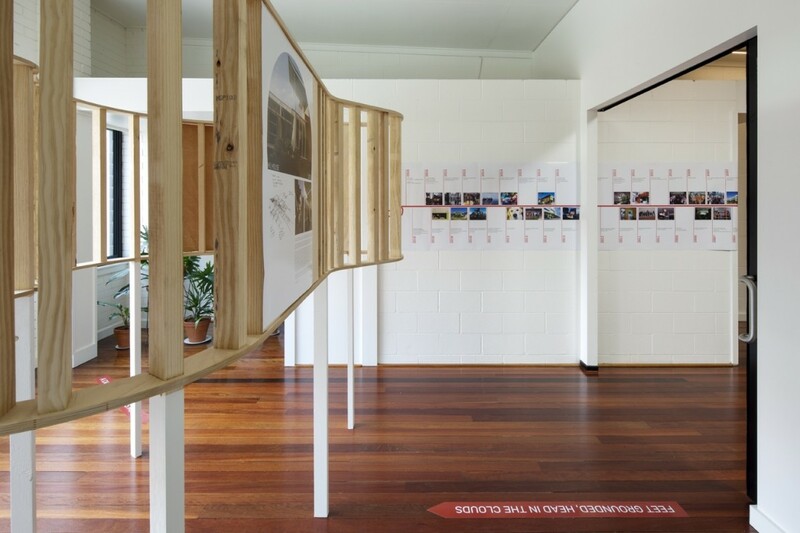 The public spaces of the building are oriented to the north and north-east: taking advantage of an existing established landscape, the eastern street frontage and ideal solar access. 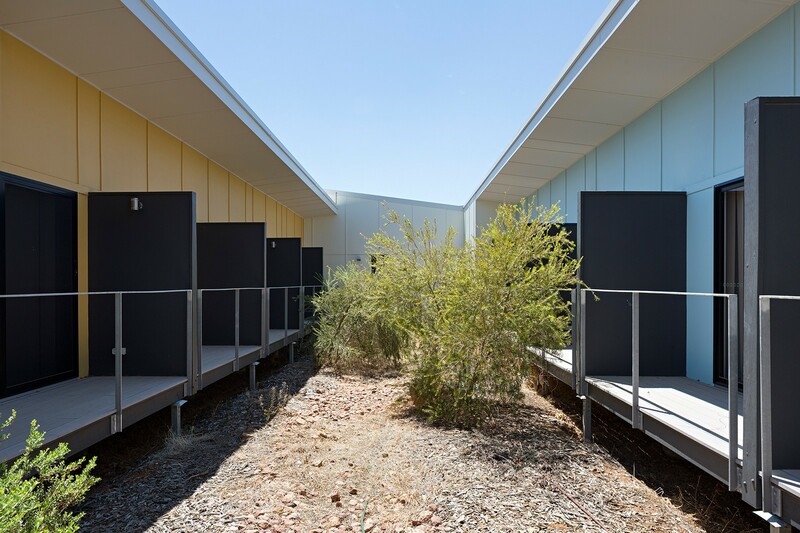 The scale, finishes, and orientation of the living spaces seek to maximise the activation of these areas by establishing group cohesiveness and a sense of community. 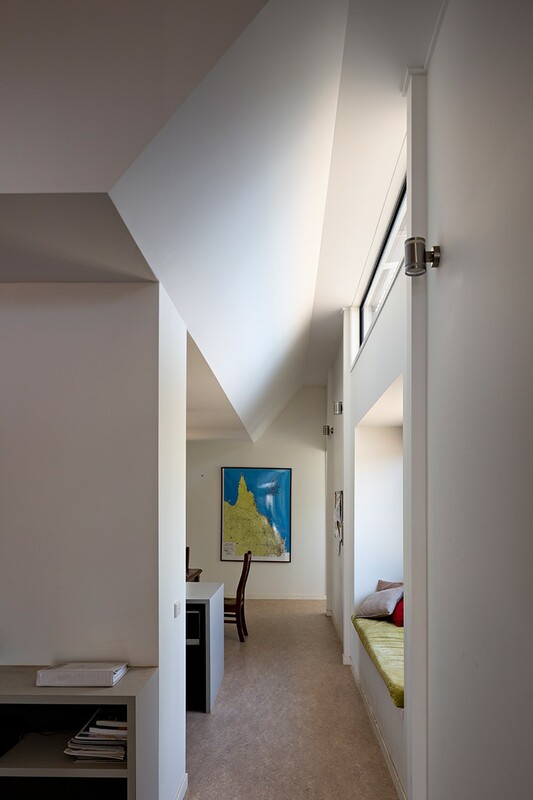 The bedroom spaces become quiet retreats, separated by landscaped courtyards which provide privacy, modulate the climate and preserve the opportunities for cross ventilation and natural daylight. 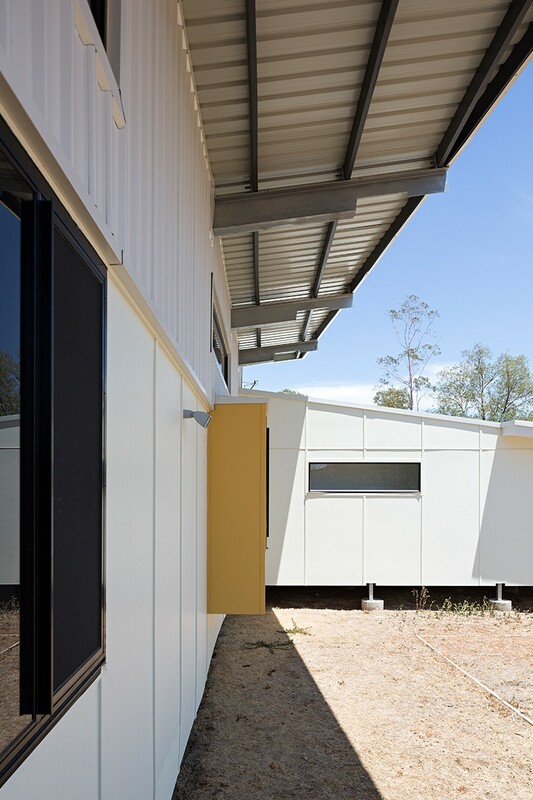 Private and public decks encourage easy access to the outdoors for contemplation, and as a relief from internalised, clinical spaces of the adjacent hospital environment. 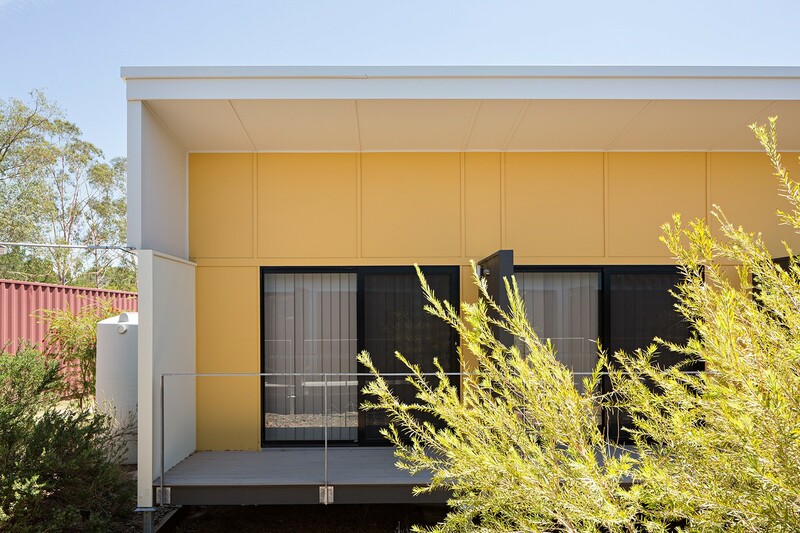 The elevated, lightweight building form generates an identity for the accommodation facility that is distinctly different from the adjacent commercial typologies. 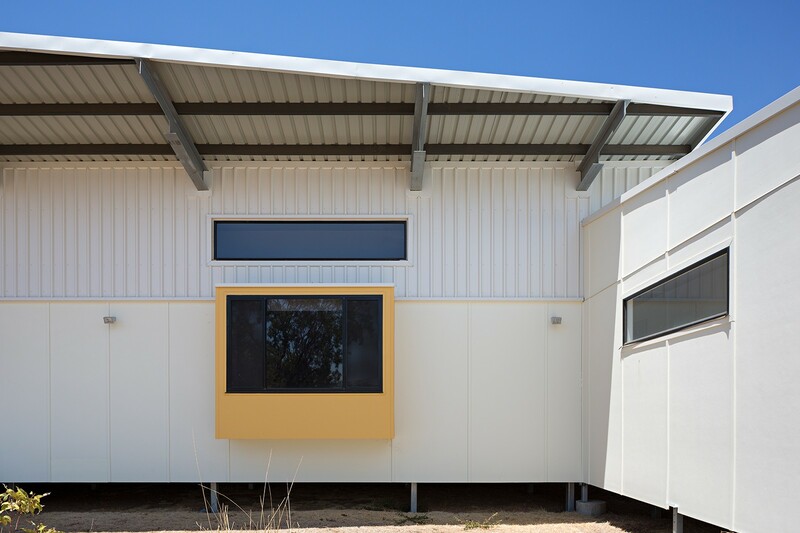 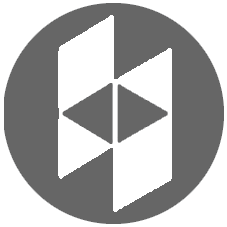 Lightweight materials, such as fibre cement and metal sheeting, reflect and readily shed heat as well as implying a familiar domestic language. 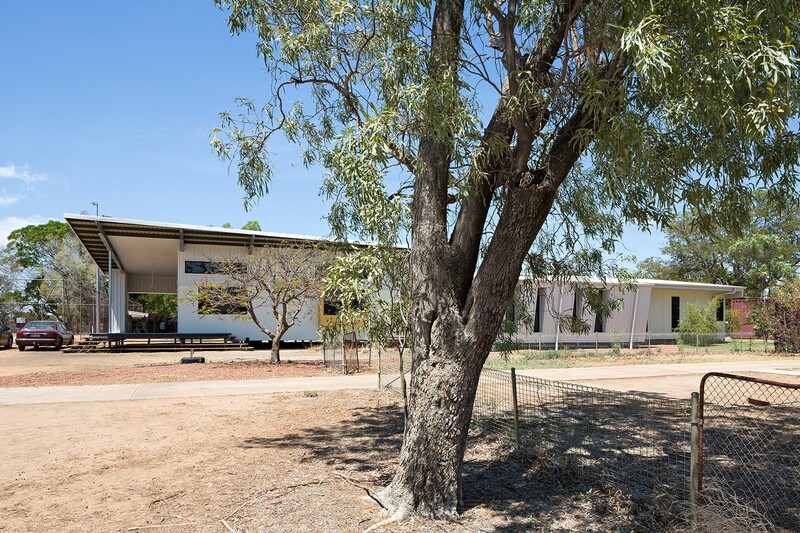 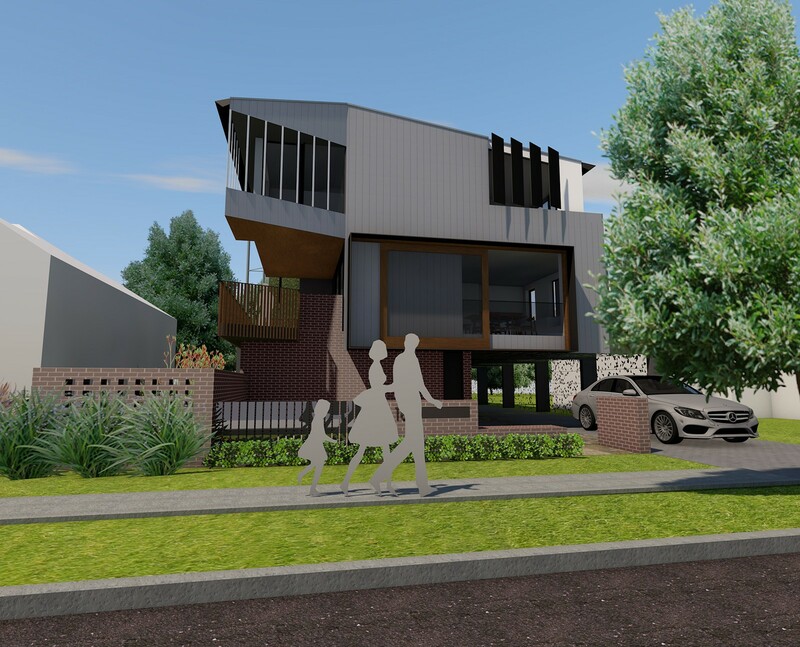 Deep overhanging skillion roofs provide necessary shading and articulate the building’s external expression.